Jalebi is a traditional Indian sweet which is relished since ages. Some people enjoy it with rabri or hot milk flavored with cardamom powder. We enjoy jalebis hot and crispy, on their own. 1. Mix well all the ingredients of jalebi. Add warm water to get the batter of thick pouring consistency. Beat well so that no lumps are there. Let it rest in a warm place for 1 hour. 2. For syrup or chashni, add all the ingredients to the water and let it boil. After 1 boil, cook it on a lower heat for 5-7 minutes. Remember syrup should be of 1 thread consistency and hot when the jalebi is dipped in it. 3. Fill the batter in a zip lock bag with a small corner cut so that there is a hole in it or you can fill it in an empty ketchup bottle. Heat oil in a pan or a kadhai. Once the oil is hot, turn the heat to medium. 4. In the oil, make circles inside a circle with the batter by squeezing, starting from outside. Similarly make other rounds. 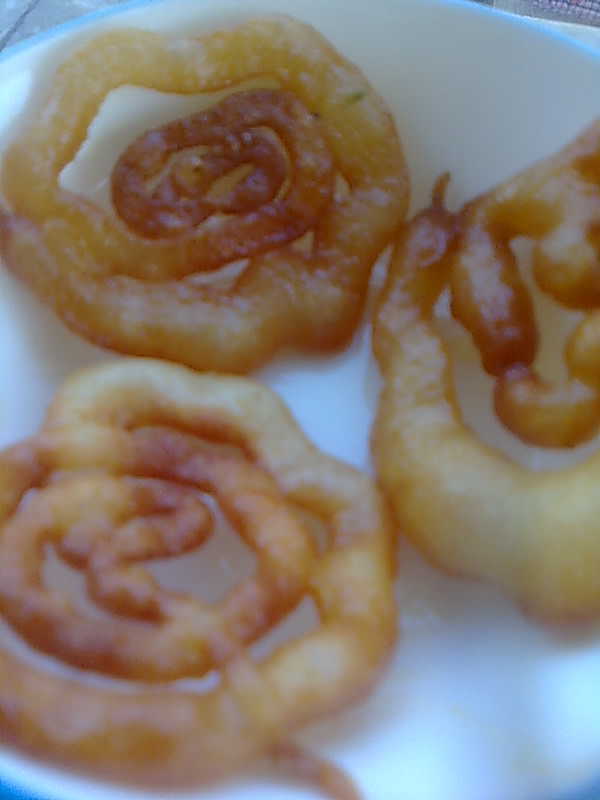 Fry jalebi from both sides by turning over using chimta. Fry till golden. Drain. 5. 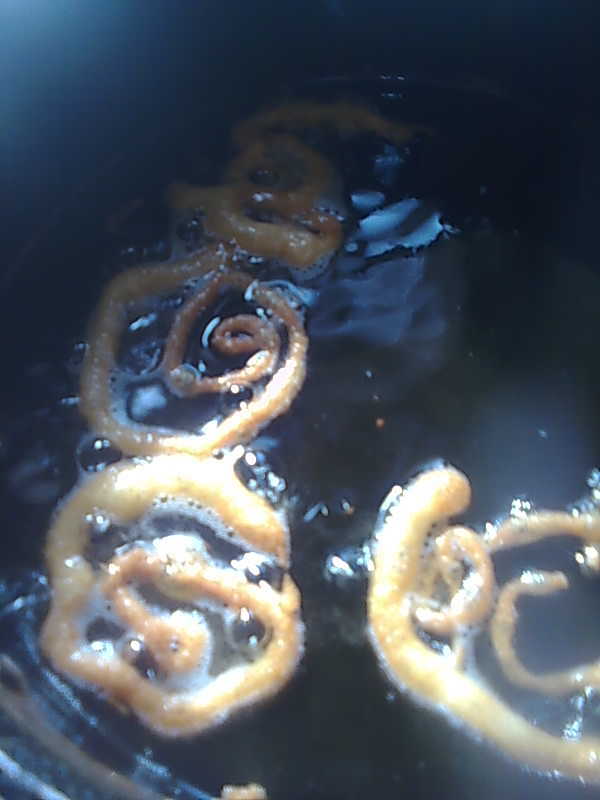 Put these jalebis in the syrup 3-4 at a time. Let them soak for 1-2 minutes. Then take out and serve jalebi hot.